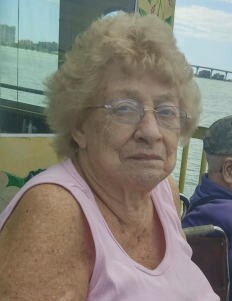 Obituary for Rose Marie (Green) Bradbury | TRAUB FUNERAL HOME INC.
Rose Marie Bradbury, 91, of Brewerton gently passed away August 30, 2018 surrounded by family. She was predeceased by her husband of 75 years, Claude, on June 9, 2018. Surviving are her children, Peggy (Stan) Huckabone of Arkansas, Sharon (Bill) Sellers of Florida, Brenda (Mark) Eaves of Brewerton, Carl (Linda) Bradbury of Central Square; sister Marjorie (Bruce) Warner of Phoenix, NY, Linda Long of Rochester; brother-in-law Lewis (Judy) Bradbury of Michigan; 12 grandchildren, 26 great grandchildren, 13 great-great grandchildren, and several nieces and nephews. She was a homemaker and helped with the family businesses. She loved to cook and bake, which she passed along to all of her children. Her grandchildren were her whole world and she loved animals; she was the ultimate babysitter and puppysitter. She was Grandma Rose to many and will be dearly missed. A memorial service will be held at 1:00 PM on Saturday, September 22, 2018 at the Greenview Country Club in the downstairs dining room.